This is a 55-year-old resident of San Francisco, California who presented to the San Francisco office at Union Square for evaluation for facial rejuvenation. 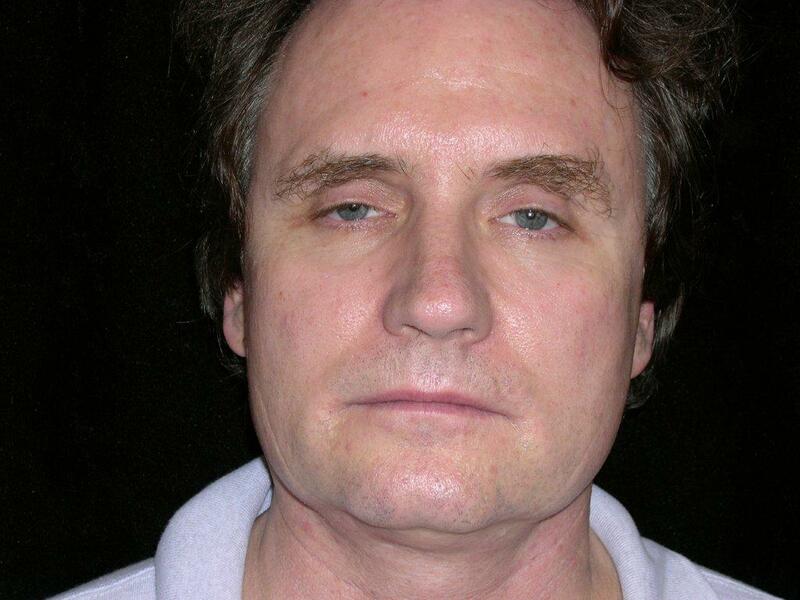 He underwent a facelift, temporal brow lift and fat injections to his face and a pre-jowl chin implant.His surgery was performed at Marin Cosmetic Surgery Center in Marin County, California. 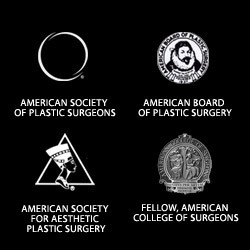 San Francisco, CA-In February 2013, The American Society of Plastic Surgeons (ASPS) published their statistics for 2012. The total number of rhytidectomy surgeries, better known as facelift surgery, performed in the United States was up 6% over 2011. Of the total 10% was for men. Men strive to look younger to remain competitive in the work place, but some are motivated to have a facelift after seeing how refreshed their wives look after their surgery. During a consultation for a facelift, one of the most important issues discussed is the placement of the incisions. The goal, besides a more youthful refreshed face, is to have the incisions well hidden so that it is not evident that any surgical procedure has been done. Women want the choice to be able to wear their hair in any style, and men who don’t have many hair style options just want scars that don’t show. 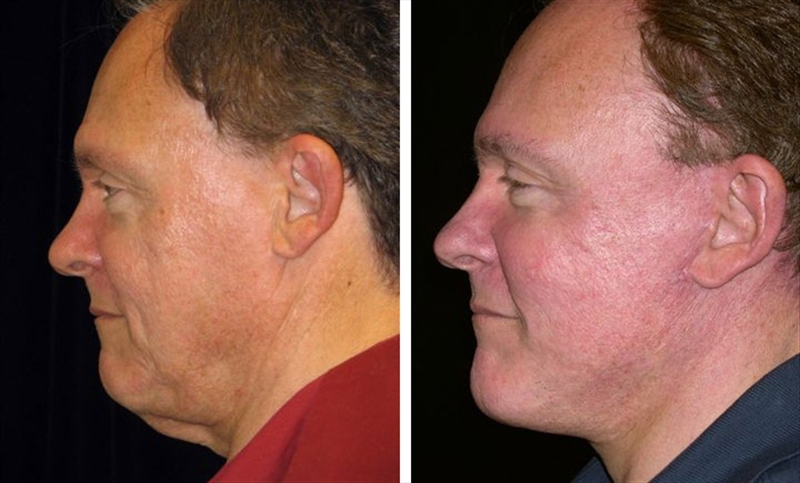 The facelift procedure is very different for a man than for a woman just as other cosmetic surgical procedures can differ, such as female breast reduction versus male breast reduction. Great care needs to be taken not to feminize the male face. The incisions should be well hidden in the natural skin creases and shadow of hair. The incision can be in front of the ear (pre-tragal) or inside the ear (intra-tragal), but attention needs to be made regarding the hairline, side burns and the beard. The beard should not be pulled into the ear, and the side burn position needs to be preserved. Laser hair removal can be done if the hair is too close or in the ear. In the long term, the pre-tragal incision will heal the best and look more natural. The location of the incisions will depend on skin laxity, quality of the skin, how much sun damage there is, and color of the skin. 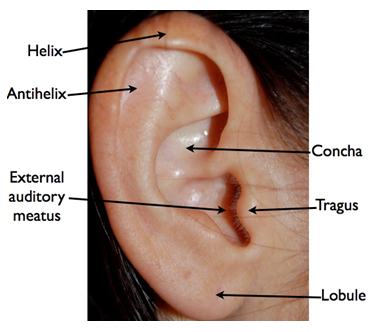 Some men have a distinct change of color between the skin of the cheeks and the tragus; therefore, each patient needs to be evaluated individually. There is also an incision behind the ear and the surgeon must take care not to move the hairline. If the man has a brow lift and eyelid surgery at the same time as the face lift, great care needs to be taken to keep a natural look and not be too aggressive. A face lift for a bald man or a man with thinning hair is more of a challenge but can be done with excellent results. The conventional incision for a male facelift cannot be done because without hair, the resulting scar will not be hidden. Instead, a surgical approach called circumauricular is preferred. 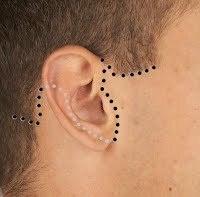 This incision goes around the ear but not into the scalp, keeping the incision hidden in the creases and shadows of the ear. It is important for the man to take care of the incisions until they are well healed. For the first few weeks, the incisions will be red, and the best way to hide them is to let your hair grow longer before surgery and/or the use of makeup. Our esthetician would be able to assist in choosing an excellent mineral based cover-up and show the patient how the application should be done to conceal the incisions. Use of sunscreen is highly recommended as the sun can make scars much more prominent, in fact it would be wise to stay out of the sun as much as possible for several weeks or months. Continuing with a healthy diet is important in healing as well as taking high quality vitamins such as VitaMedica. Smoking is one of the worst things anyone can do before and after surgery as the nicotine and carbon monoxide starves the cells and keep them from delivering oxygen to the tissues. This prevents the incisions to heal properly, and in addition making the patient more susceptible to infections. Besides increasing inflammation, there is also an increase in risk of cardiovascular complications. It is important for the patient to take an active role throughout the healing process in order to get the best surgical result. 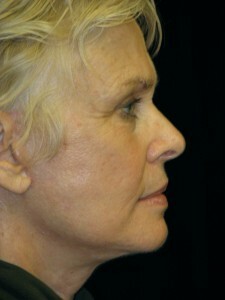 The neck seems to be one of the first places that show signs of aging. It is definitely an area that disturbs most San Francisco Bay Area people, with descriptive terms such as turkey neck or turkey waddle. In order to tighten this area, a neck lift is performed. 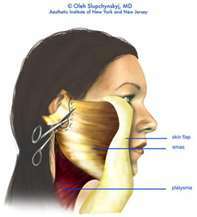 This is where the cosmetic plastic surgeon makes incisions under the chin or behind the ears or both, in order to access the neck muscle called the platysma. The platysma is a broad based flat thin muscular sheet, covered with fat that originates from the fascia of the pectoralis major and deltoid muscles. It reaches from the neck to the inferior border of the mandible (lower jawbone). 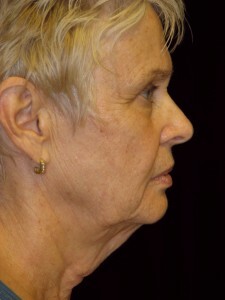 As we age, the neck forms platysmal bands, this is when the platysma tends to separate in the mid-line and lose elasticity, and it thickens forming prominent folds of skin in front of the neck. 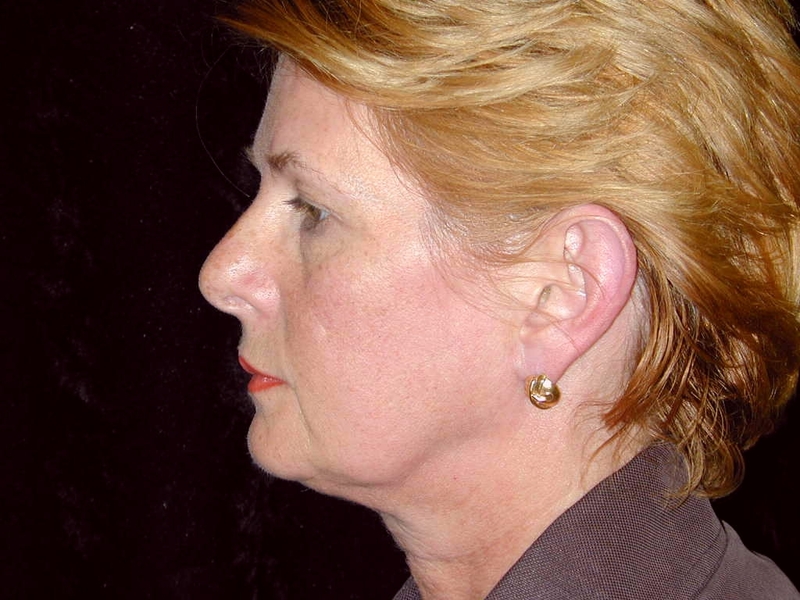 Platysmal plication is where the surgeon sutures the ends of the platysma muscle back together; this is usually done in combination with a lower facelift. Posted in Face Lift techniques, Facial rejuvenation, Neck lift | Comments Off on What is Platysmal Plication? 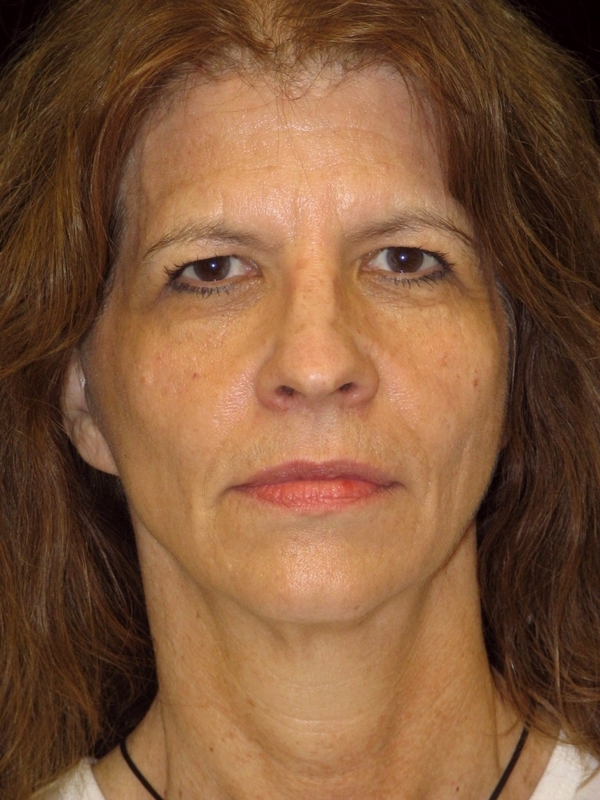 The “windswept” look that many Sonoma County women refer to is the look some women have after facelift surgery where their facial skin is pulled too tight toward their ears. A trained Board Certified Plastic Surgeon knows how to avoid this look. This was a common result back in the 1920’s when a face lift consisted of just tightening loose skin of the face and pulling it in only one direction. The SMAS facelift is bidirectional where the deep layers and skin are pulled along different vectors or directions. The latest trend is adding fat grafts to replace lost fat due to aging. If one sees a woman with the windswept look today, it may mean the deeper structures and skin have not been addressed correctly. The best way to avoid the “over pulled” look is to study before and after pictures of the surgeon to determine if he/she gets the results you want. A very common question San Francisco Bay Area facelift patients ask is, “When do I need surgery?” The answer is different for each individual, and it is a personal decision. The cosmetic plastic surgery patient needs to determine what their priorities are. For some patients, they want to address issues as they occur with aging. Their goal is to have corrections be as subtle as possible so that friends and family are not sure they had anything done. Many times this may start with an eyelid lift and/or a brow lift in their 30’s or 40’s, but this varies with each patient as everyone ages differently. Then there are patients that want to have surgery only once, so they wait as long as possible perhaps into their late 50’s or even 60’s and have all done at one time. For this patient, the result is much more dramatic. View before and after pictures of Dr. Delgado’s patients. Both of these choices are completely acceptable, it depends on what the patient wants. The only bad choice would be for the patient that has waited and needs to have a full face lift, brow lift and eyes, but chooses to have only one area done, this will give a result that will have the face out of balance. 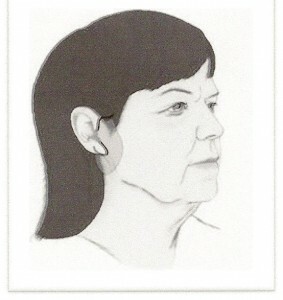 When only one area is of concern to the patient, say loose skin on the neck, they may wish have a neck lift only. What happens though once the neck area is corrected the age won’t match with the rest of the face, and then the focus will go to another area that looks older such as the eyes…. Dr. Delgado is an experienced Board Certified Plastic Surgeon serving Marin County and Sonoma County in cosmetic and plastic surgery. What Age is a Face Lift Appropriate? For some patients they may start noticing the skin in the jowls and neck are starting to sag. This is usually the most disturbing condition that prompts many to seek solutions. The sagging of the skin is not age specific, for some it can start as early as the mid thirties and for some fortunate ones maybe not until their fifties! This is more of a genetic issue and not something you can control. This is something that is part heredity but how the patient cares for their skin can make a big difference. Being very careful in the sun from an early age is important. Sunburns can do a lot of damage but usually do not show up until later in life. Using sun screen, hats and sunglasses is recommended. There are many good skin care products on the market that can help keep the skin clean and moisturized. Drinking lots of water will help keep skin hydrated. Deciding to have a facelift is very personal, for those who just are not sure if they are ready should wait. But if someone is determined and if their surgeon is in agreement there is no reason not to proceed and age should not be a factor. Everyone wants perfection, including the surgeon, but that is not realistic or possible. Having good communication with the surgeon is very important so that a patient understands what to expect from the results of the surgery. Many times patients only want to correct what is bothering them such as the neck. This can make the rest of the face look unnatural having one area youthful and another area aged. Having facial harmony is the ideal and experienced Board Certified Plastic Surgeons will explain this to their patients. Patients must consider downtime for recovery, risks from surgery and costs. An experienced facial plastic surgeon will be able to guide the patient in making the right decision as to when they are ready for surgery by asking all these important questions. Seek out a Board Certified Plastic Surgeon who specializes in facelifts and be sure to see many before and after pictures of the surgeon’s patients. It is reasonable to ask to speak to patients of the surgeon to hear first hand of their surgical experience. For the patient that wants to start early, they will find that their results are more subtle leaving them with a refreshed look. This is the preference of many who wish to keep their surgery unobvious and having revisions or secondary surgery later when things start to relax in order to continue to look great. But some patients want to delay as long as possible not minding a more dramatic look as they only want to have surgery once. There isn’t a right or wrong answer; it is what the patient feels most comfortable with. Posted in Face Lift techniques, Facial rejuvenation, Home | Comments Off on What Age is a Face Lift Appropriate? How Safe is Face Lift Surgery? 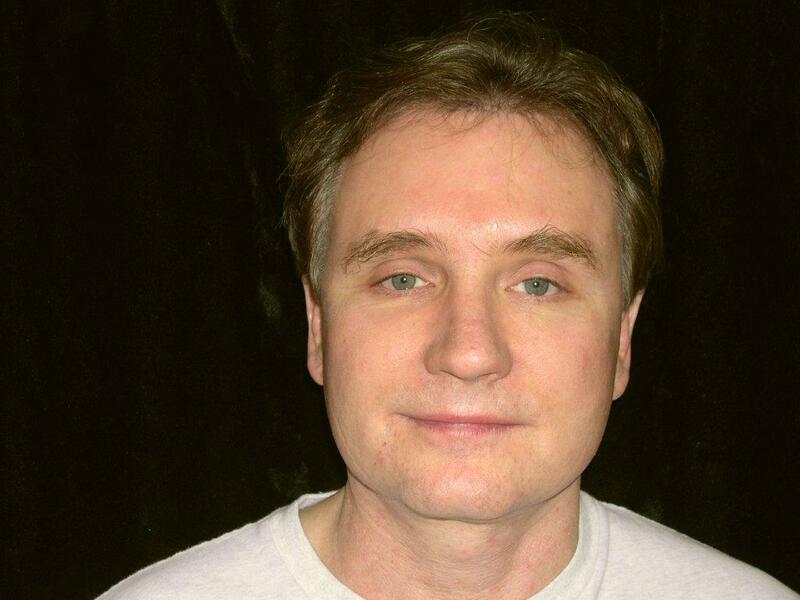 Many San Francisco Bay Area patients are concerned about the safety of their rhytidectomy( face lift) surgery. If it is an elective procedure, how much of a risk is it? With tremendous advancements in medicine and anesthesia the risk factor for all surgical procedures is greatly reduced. During recovery it is possible a hematoma may form. A hematoma is when blood collects under the skin with increasing swelling and pressure. In most cases the surgeon would insert a tube to remove excess blood. Typically a hematoma will not impact the result of the surgery. The likelihood of this risk is only about 1% to 5%. Infection from a facelift is rare. Patients are placed on antibiotics before, during and after surgery. 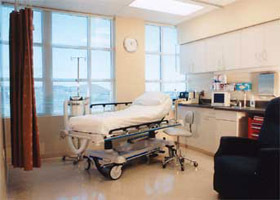 Having surgery in a private surgery center such as Dr. Delgado’s “Marin Cosmetic Surgery Center” greatly reduces exposure to infection due to the limited amount of patients, staff, and strict quality control. Air travel, inactivity and other conditions may increase the incidence of blood clots. The use of compression stockings can help prevent clots from forming in the veins of the leg. 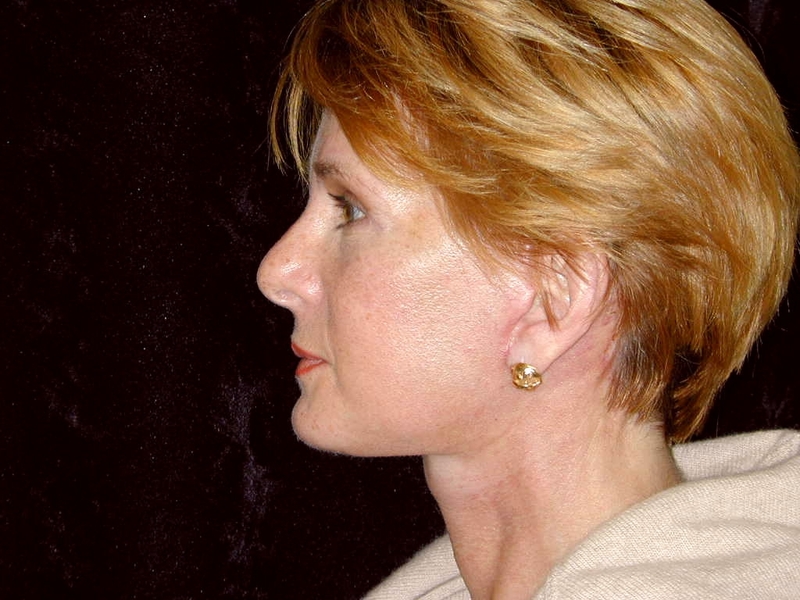 After face lift surgery it is very common to experience numbness around the neck and ears. This will improve over the course of a few months as the nerve branches grow back. If a nerve branch is severed during a face lift procedure, permanent interference with muscle animation of the face can occur. In choosing a well qualified Board Certified Plastic Surgeon this complication is extremely rare. 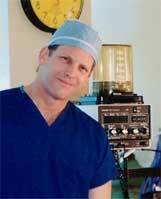 Anesthesiologist, Dr. Randy Gaynor at Marin Cosmetic Surgery Center insures the patient is getting optimal care. It is possible to have some hair loss on the areas where the incisions are. Dr. Delgado is very precise in making incisions in natural folds of skin where there may not be hair to cover it. Swelling can temporarily make the face look uneven; choosing an experienced Board Certified Plastic surgeon will greatly reduce any likelihood of permanent asymmetry. There are many things that a patient can do to prepare for face lift surgery, see the blog on our main surgery site here. What is a SMAS Face Lift? 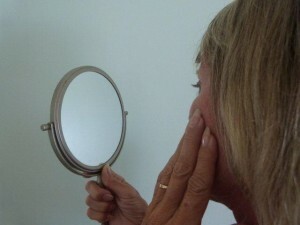 There are different face lift techniques available, depending on a patients age and condition of skin, Dr. Delgado evaluates which face lift procedure is appropriate for each individual patient. SMAS is an acronym for: Superficial Musculo-Aponeurotic System, which is the fibrous network of tissue that lies under the skin but over the facial muscles. The SMAS is a membrane composed of fibro-elastic connective tissue and muscle that attach through the subcutaneous fat to the superficial epidermal-dermal layer of the skin allowing them to move together as a unit. 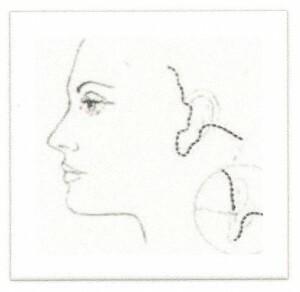 Plastic surgeons modify the SMAS during a face lift procedure by lifting it up to hold the face in different positions. If you only lift the skin it will stretch, as skin is meant to, and everything will return as it was. By lifting the SMAS, which is the deepest (third) layer, it will reduce the appearance of sagging jowls, cheeks and neck without putting tension on the skin. 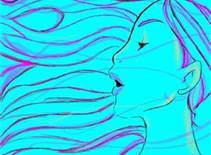 Putting tension on the skin is what gives the “windblown” look that so many San Francisco and Northern California Bay Area patients are concerned about. The SMAS face lift is far more advanced than a skin or endoscopic face lift and can give excellent long lasting results for 10 years or more. The ability to perform the SMAS face lift procedure requires fundamental knowledge in facial nerve, plastic surgery and microsurgery. Posted in Face Lift techniques, Facial rejuvenation, Home | Comments Off on What is a SMAS Face Lift? Making the decision to proceed with a facelift is an exciting one. It is normal to have apprehensions, so it is a good idea to address all of them with Dr. Delgado, a facial cosmetic plastic surgeon, so that you can go into surgery without any anxieties. One of the most common concerns of patients for a facelift in San Francisco Bay Area is the placement of the incisions and how visible they will be. This is one of the most important goals of the facelift procedures; besides having a great natural look it is equally important for the incision sites to be in the natural creases and as invisible as possible. 1. “Short Scar Facelift” This has become popular in the last five years or so, and the incision is limited to the front of the ears ending at the earlobe. It is more limited in its ability to provide correction of loose skin and soft tissue in the neck in comparison to the Modern Facelift. It does however lift the deep structure which is called the SMAS, a firm and fibrous network that runs beneath the skin and over the facial muscles. 2. “Mini-Facelift”The incisions are similar to the “short scar facelift” the difference being that it involves the skin only. It is not a deep lift and does little if anything to improve the neck. Since it only involves the skin, it will only hold up for a few years. 3.“Modern Facelift” This facelift gives the best results for most patients and is the longest lasting, 8 to 10 years or more, however the incisions are longer. The incision line goes behind the ears and into the hairline. But a skilled surgeon with great technique is able to minimize the scar and for most patients it can fade and be almost invisible. 4. “Brow Lift” There are two different approaches to the brow lift, the first being the coronal lift, with this procedure the incision is hidden behind the hairline and goes from ear to ear over the crown of the head. There can be problems with this incision, such as hair loss, a wide scar and possible cutting of nerves on the top of the head. 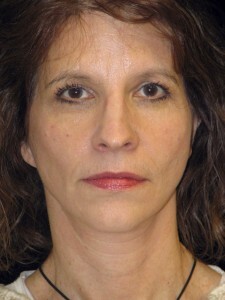 The other brow lift is called an Endoscopic Brow lift. In recent years surgeons now use an endoscope when possible, this is a specially designed instrument with a camera attached that passes through very small incisions allowing equal results as the “open coronal” approach. 5. 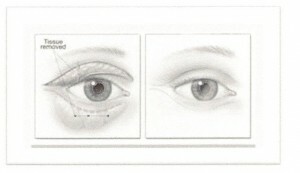 “Eye Lift” For the upper eyelids, an incision is made in the natural crease of the lid. Once the incision has healed, it is almost invisible. For the lower eyelid, the incision is made just under the eyelash and again after healing almost impossible to detect. If only fat is to be removed, then the incision is made just inside the lower lid. So as you can see a lot of planning and thought goes into all the procedures to give the patient the most natural facelift results with minimal evidence of any procedure having been performed. This question comes up often from my San Francisco and Marin patients, and while it is a good question there isn’t an easy answer. When a patient has a facelift , it is possible that the patient will look 10 to 15+ years younger after surgery. But the patient will continue to age and not be frozen in time. So in 10 years time the patient may look 10 years older. There are other factors in the aging of the skin, such as heredity and the laxity of the skin that cannot be controlled. However, there are measures the patient can take to help maintain their new face. First of all the most aging thing to the skin is the sun. So I recommend a good sun screen or sun block and also wearing sun glasses to protect the eyes and a hat while out in the sun. Secondly a good skin regimen with a high quality product is very important. This is a good investment in maintaining the facelift. There are a couple of procedures I recommend to my Bay Area, California patients that can also give them the optimal result from their facelift or their mini-facelift. The first would be a light skin peel to be done at the end of the surgery while the patient is still asleep. There is virtually no discomfort and the healing time will go along with the healing time of the surgery. A skin peel can remove many skin imperfections and give the face a very fresh look. The other procedure that some patients may be a candidate for would be fat injections. 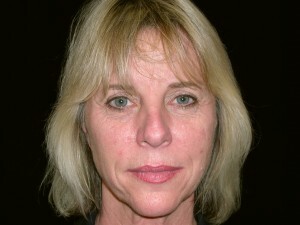 As we age we lose fat in our face which can give a sunken look. A facelift can soften this but it is not possible to pull the skin enough to get a good result on some patients with very deep lines, but will end up with an overdone look! 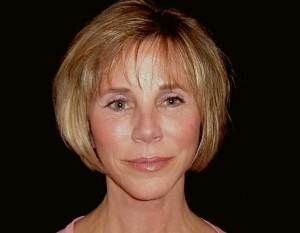 The patient below had her facelift and brow lift at the age of 60. She had a skin peel and fat injections done at the same time. You are currently browsing the archives for the Face Lift techniques category.